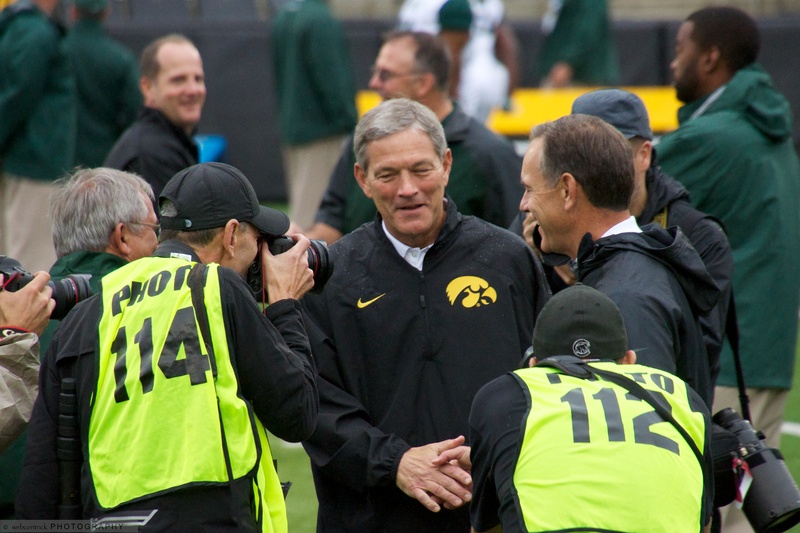 Kirk Ferentz greets Mark Dantonio before their game at Kinnick in 2013. In today’s sports climate, exceeding expectations are everything and you’d better just win. I wrote about this in another article about my opinions on what fosters the expectations game and how we quickly find an excuse to blame the coach when our own expectations aren’t met. It was a general article, meant for the masses, not just Hawkeye fans. It’s my opinion and I believe, as written, it’s hard to argue with. But, I’m sure you will. Since the topic of missed expectations is quickly sweeping through the Twitterverse with respect to our own Iowa Hawkeyes and Head Coach Kirk Ferentz, I’m going to lay it out here as clearly as I can why I support Kirk Ferentz. I’m doing it in an environment where cold-heartedness rules supreme. An environment where past performance doesn’t seem to matter. In fact, “past performance” I’ve learned, can be debated hair-splittingly with the finest tooth comb and the record shredded with the sharpest of knives. It’s a cultural issue that has become one of my biggest pet peeves of all-time: What have you done for me lately, Kirk Ferentz? Before I go into my defense of Kirk Ferentz to remain the head coach I want to make sure you understand some things about me. Yes, I’m frustrated with where we are today. Yes, I personally had the expectation of an 11-1 regular season or better and being in a position of one of four national championship finalists. Yes, I bought into the “easy schedule” mirage. Yes, I absolutely loathe losing to a MAC team, an Iowa State team, any team from Illinois, or any team with a rodent as a mascot and I also believe we never should. I’m not a mediocre person. My brain and the way I use it has enabled me to achieve personal and professional success and I understand how to be goal-oriented. In many ways, I’m probably a lot like you. 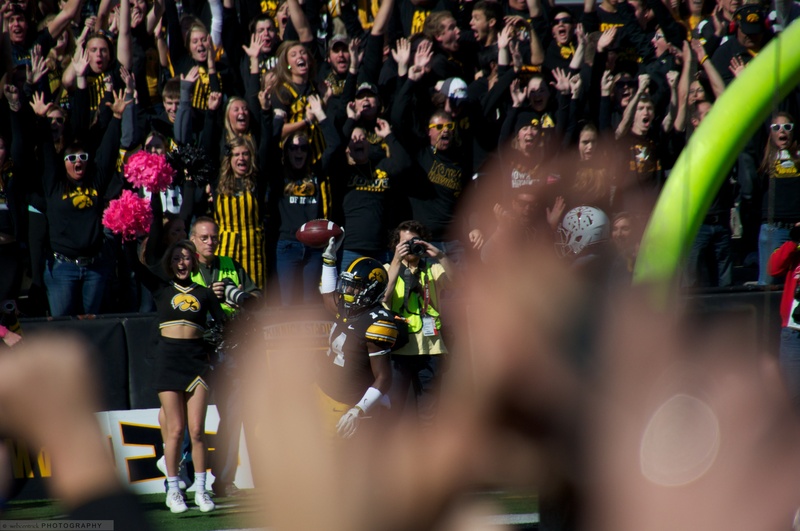 Like you, I have my own definition of “investing” as a Hawkeye football fan and, personally, I’ve enjoyed watching them lately more through my camera lens than without. Like you, if I ever see one more successful fake punt or fake field goal at the most obvious, yet inopportune time I am sure I’d rather be in cardiac arrest. Like you, I don’t like predictability of our schemes and game plans, but I do understand the supreme importance of strong fundamentals and playing mistake-free. Like you, I want to get back to 10-win seasons. Furthermore, I don’t think we should just accept mediocrity and I believe that it is possible for the Iowa Hawkeyes to one day be college football’s National Champion, although due to gut-feel, I don’t believe the Cubs will win a World Series in my lifetime. Like many of you, I like craft beers, and I can tell the difference between a good tasting $9 bottle of wine and a bad one. Finally, just exactly like you, I am not a football expert. Like the vast majority of you, I have never coached a game of football and I have never prepared a team to take the field, neither as an amateur or a professional. Like you, I have never convinced a coach to use my play calling skills and I’ve asked my TV countless times, “why not?” Like you, I watch other teams offenses and I say, “I wish”. And, I’ll say it again: I’m not content with 6-6 or 7-5 or even 8-4. But here’s where maybe we are different or where I have grown to see things through a different lens, so to speak. I have a fundamental belief that, since football teams are made up of human beings, the differences on the field are attributed to desire, effort, preparation, and execution as opposed to talent and speed. I do believe in the importance of game planning and play calling, but those things can be countered with the attributes I mention. Moreover, get this: I believe sometimes things just don’t work out. I believe in the law of averages and there is no better landscape for the law of averages than college football. I believe that for any team in any state to string together perennial 10-win seasons is an anomaly. I believe that, even in the state of Alabama, with all that southern talent, it’s a very challenging thing to put those market-dominating products on the field year after year after year. Heck, we’ve seen it! It wasn’t that long ago that Alabama and Auburn were both average or worse. Guess, what? It will happen again. When you start talking about making coaching changes, you must consider the risk and upside. I believe there is much more risk than upside at this point in time. So, where does that leave me with Kirk Ferentz? I respect and admire him. I love the story of taking a team from zero to beating the defending national champions within a handful of years. I believe he has proven his worth (and donates much of it back) and I believe he is an expert of the game. I don’t like the comparison game because it can be shredded to pointlessness. But, if you go to the wikipedia and just pull a quick, glancing comparison between Ferentz’s career at Iowa and Barry Alvarez’s, you will find there is not much difference. Hold on Mr. Naysayer, I’m not splitting hairs with Rose Bowls and Orange Bowls, or the effects of the BCS Bowl of Baloney. I’m talking about conference play winning percentages and the ups and down both have had. Go look for yourself, it’s strikingly similar. Ferentz’s current conference record is actually better at 66-57 while Alvarez’s is 65-60-3. The difference between the two is one left the profession before he could get chased out of town (because it was bound to happen sometime, right humans?) and the other is still looking for his next wave crest so he can do the same thing. We should also not underestimate the record Ferentz has in bowl games against the SEC. If we are to believe the pundits, the middle tier of their teams are always better than the top tier of the B1G teams. But, when you actually play the games, Ferentz’s record against them is over .500. I also tend to rely on the expertise of others when judging someone I have no real expertise in. So, find me a coach that has a better professional reputation in the field of coaching than Kirk Ferentz. Let’s look at the hot B1G coach of today, Mark Dantonio. 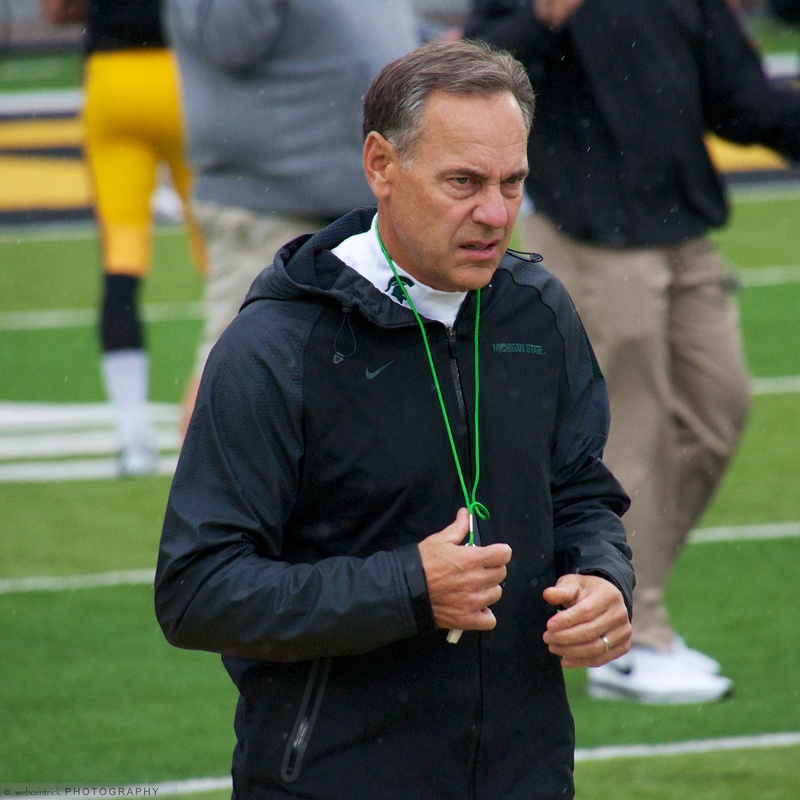 Michigan State Head Coach Mark Dantonio has said he wants to emulate the Iowa Football program. Obviously, a successful formula, but it won’t last forever there either. Wow, wouldn’t it be great to have him? Why can’t we have what he has? Mark Dantonio has gone on record, practically every season since he’s been at MSU, and said the one program he wanted to emulate in building his own was Kirk Ferentz’s Iowa Hawkeyes. Kirk Ferentz is not incompetent. Over the years he has demonstrated the ability to win consistently and, thus any true expert would say he has excelled in his profession. Unfortunately for us, we just have a hard time accepting the law of averages. Because of his past performance, his values, his integrity, and his representation of his institution, I believe Kirk Ferentz has earned the right to call his own shots. I believe he has the expertise, the desire, and the infrastructure to win consistently again, because there isn’t any valid reason not to believe this, other than the overall product we’ve seen the last few years, I realize. 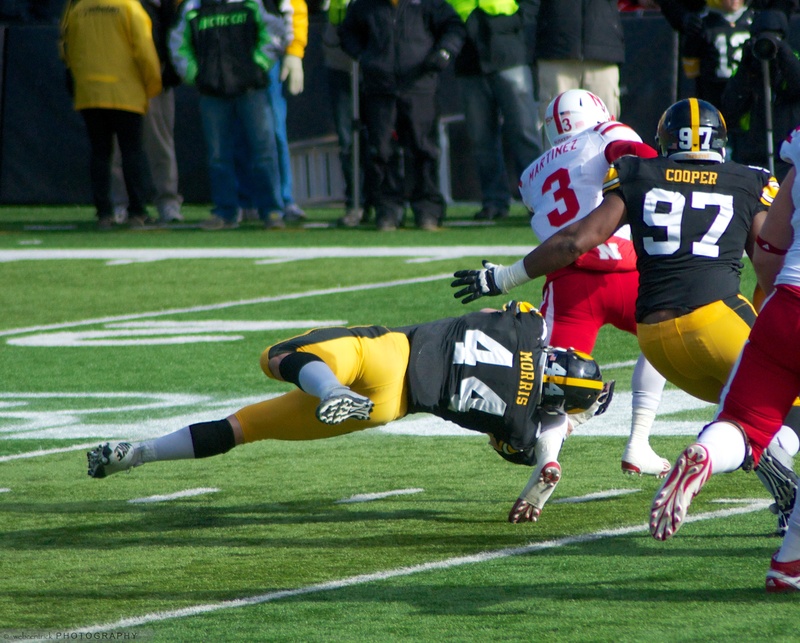 I’m not forgetting the shellacking the Hawkeyes put on Nebraska last year. But, look. Football is football. By the recruiting rules of college football today, you compete only against tradition. As fans we have to realize this and it is the number one challenge any college coach faces. But, once you have your team, you prepare your team and get your 70 young men to gel better, practice better, work harder, and execute better than the other 70 young men for a whole season. If you’ve acquired that special sauce that gets bottled up just 15 or so times a year, you’re a winner. 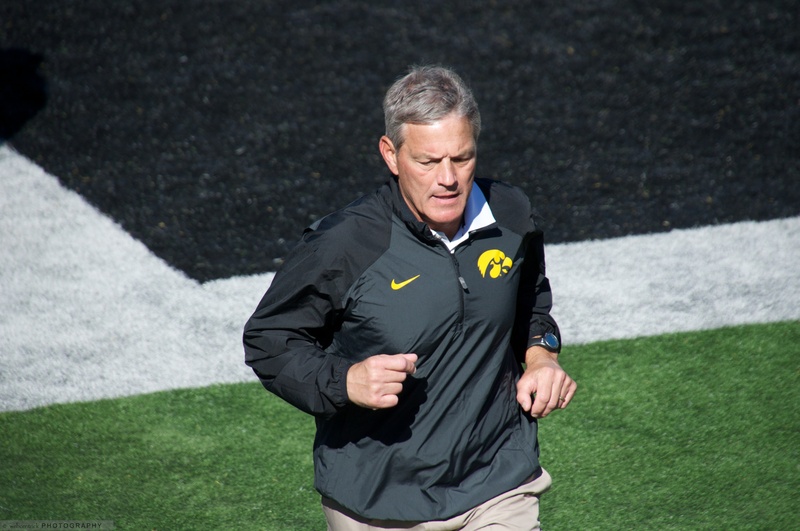 Kirk Ferentz leaves the field after defeating Indiana on Homecoming 2014. So, I’m going to give Kirk Ferentz the respect I believe he deserves. I’m going to keep buying my tickets because it’s the choice I’m making until it doesn’t provide me any more enjoyment. I’m going continue to mature and temper my expectations to a reasonable level and cheer like I always have that they exceed them. I’m not going to just knee-jerk my way to thinking someone else can do a better job on a consistent basis and trash talk someone else in the process. I believe it is more likely that if Kirk Ferentz is fired, we will endure more than a few years of a worse brand of football. The Tom Davis Forceout and the Steve Alford Experience tells me we are one bad hire away from years of door matting. To be quite candid, the law of averages tells me that’s not far away, and you might want to ask yourself if you are ready for this? Illinois and Purdue are not that far away, metaphorically. Brady Hoke and Will Muschamp were the hottest names in coaching just a few years ago and landed jobs in talent hotbeds. Ask any Michigan or Gator fan how its worked out to chase out a coach. In hindsight, I’m sure the most teeth-gnashingest of Wolverine fans would love to see Lloyd Carr roaming the sidelines. Ok, maybe that’s a stretch, but you get my point (he did win a national championship, though). Yes, I’m going to let Kirk Ferentz decide when he’s had enough of us and is ready to take on his next challenge. I believe he is already making that plan. If I were him, and I’ve accomplished what he has (what countless others really haven’t), that’s exactly how I’d want to be treated whether I made $4MM or not, fellow laymen. 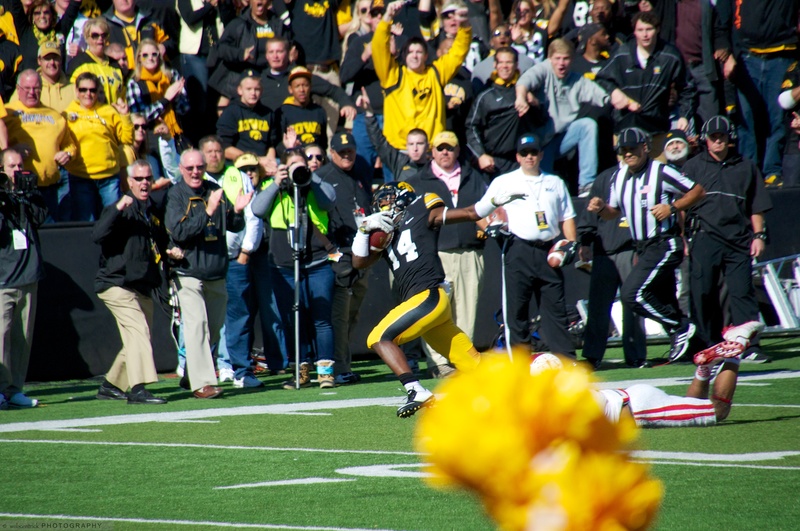 In last week’s big Hawkeye Homecoming win over Indiana, Iowa got a spark from Desmond King, who intercepted a pass and returned it for a touchdown. I was able to snap the whole sequence. 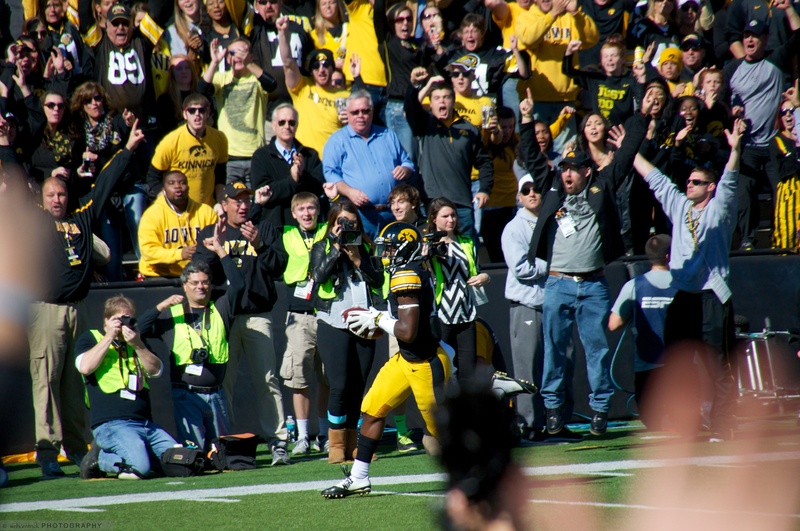 The interception happened right in front of the Hawkeye bench and King raced the entire length of the sideline, so the images show the elation of the players and fans on Kinnick’s glorious west side. Take a full-screen look at each image and you’ll see something different during this big play. You’ll see Coach Kirk Ferentz dialed in to King as he makes the catch, you’ll see LeVar Woods calling the inevitable touchdown before it happens, You’ll see strength coach Chris Doyle signaling to the house, you’ll see Honorary Captain Drew Tate signal to the crowd, and you can literally feel 70,000 fans screaming. Enjoy! The Iowa Hawkeyes (2-0) had to put together a furious 4th quarter rally to defeat Ball State of the MAC Conference. The rally came on the heels of QB Jake Rudock engineering two drives with the game winner culminating in a pass and catch to TE Jake Duzey with about a minute left to play in the game. The Hawkeyes really never got anything going on offense throughout three and half quarters. But the final two drives were dominated by Rudock’s arm and critical plays made by the receivers. 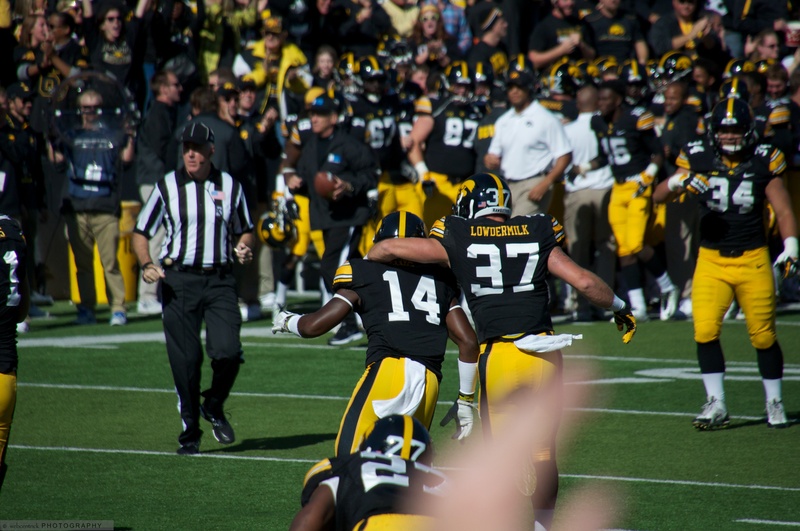 Here are some photographs I shot from throughout the game day in and around Kinnick Stadium on a magnificent September day. 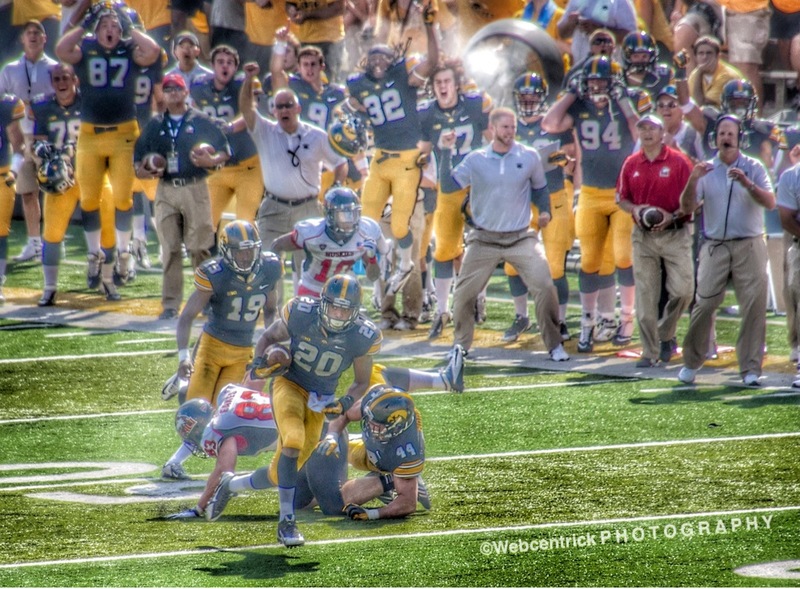 Unfortunately, with the scoring happening at the north end of Kinnick, I was challenged to get this pictures. But, I’ll take the win! RB LeShun Daniels tries to elude te Ball State defender. Ball State defensive lineman picks up a fumble Jonathan Parker on a jet sweep. Ball State scored on the play. Ball State CB Eric Patterson finishes a big play and does a little taunting. 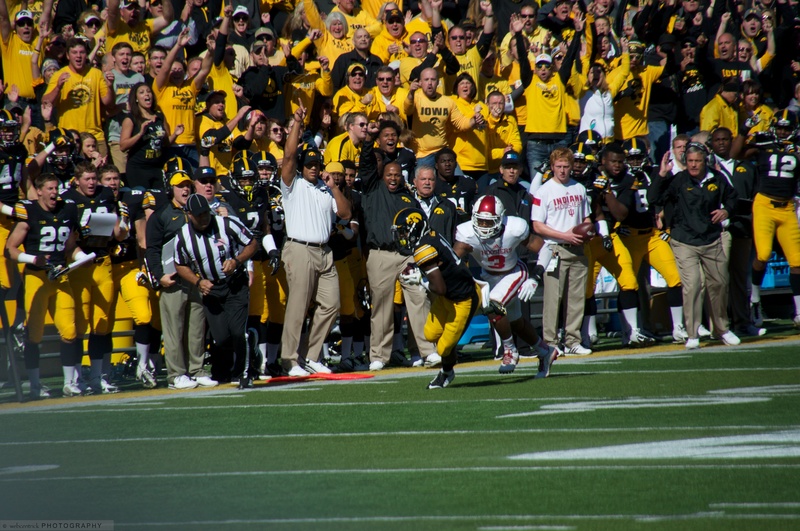 It was the last big play the Ball State defense would have as the Hawkeye comeback was about to begin. 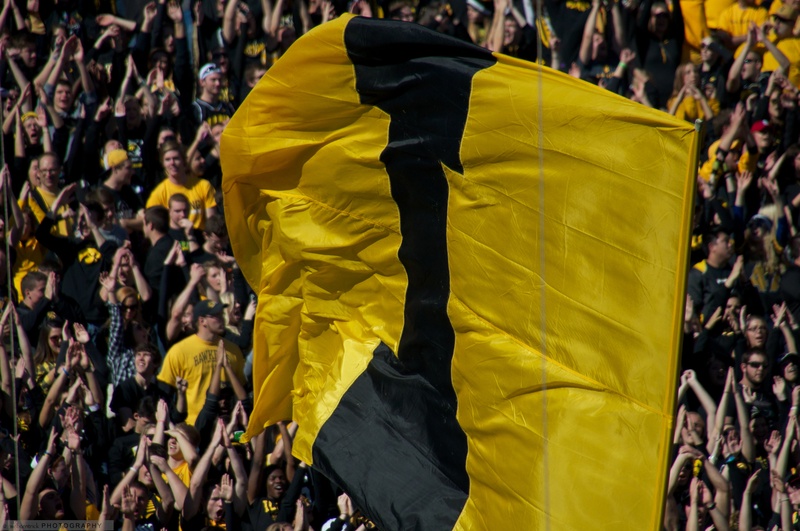 The Iowa Hawkeyes defeated the University of Northern Iowa Panthers on the first weekend of the 2014 college football season by a score of 31-23. It was a hard fought game by both teams and Iowa showed the fans at Kinnick Stadium it’s typical early season form, struggling to generate a running game and allowing UNI to stay in the game all the way up to Greg Mabin’s interception late in the 4th Quarter. Mabin’s pick sealed the victory for the Hawkeyes and he established himself quickly as a new household name amongst Hawk fans. 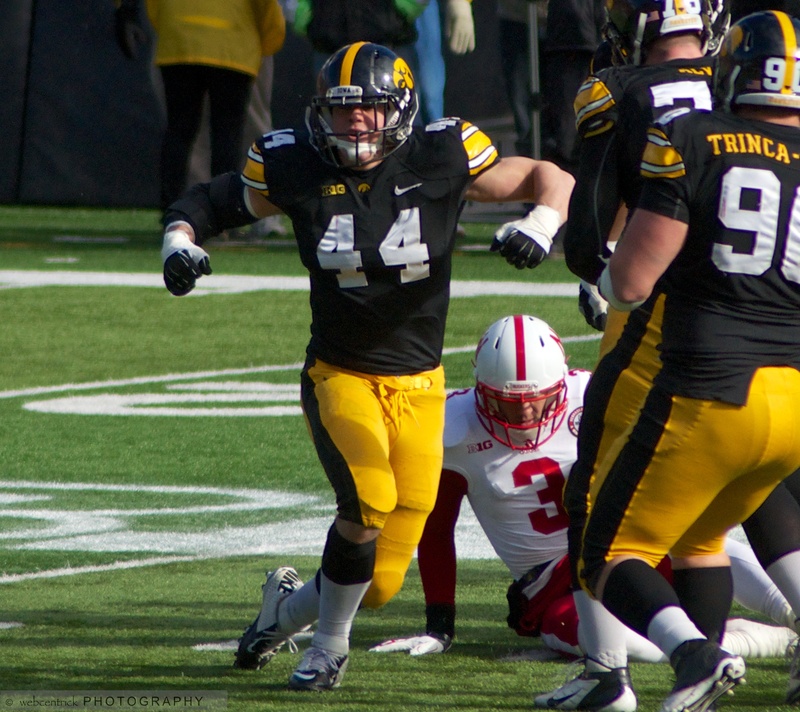 Bo Bower also played well as a new face in the linebacker corps. Enjoy some photographs I captured of all the game day festivities and game action. Go Hawks! The 2014 Season kicks off! Mark Weisman is the unlikely recipient of the opening kick and returns it into Panther territory setting up the short field. Carl Davis imposes his will on the UNI offensive line. 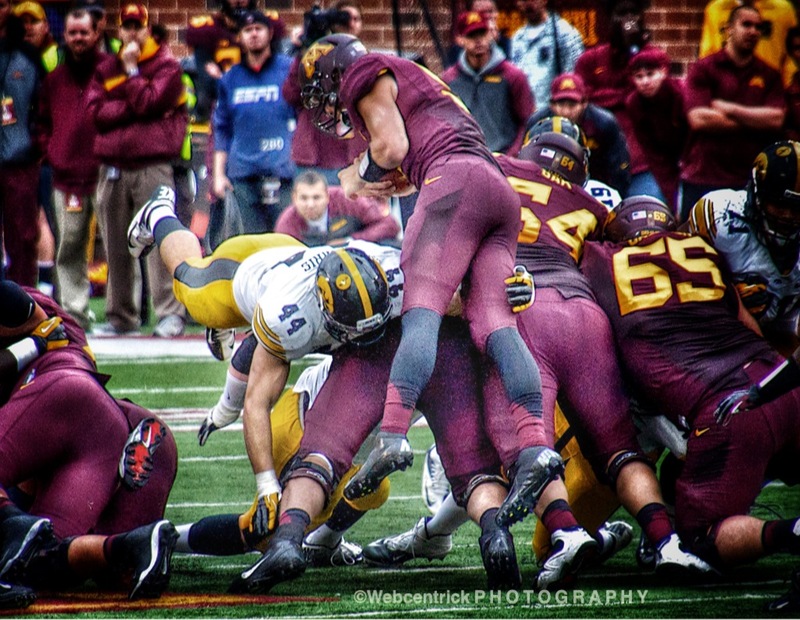 The UNI defender feels some pain as he tackles WR Matt Vandeberg. UNI Special Teams cheating on a Hawkeye field goal attempt. You can’t climb on the backs of the opposing players in attempt to block the kick. 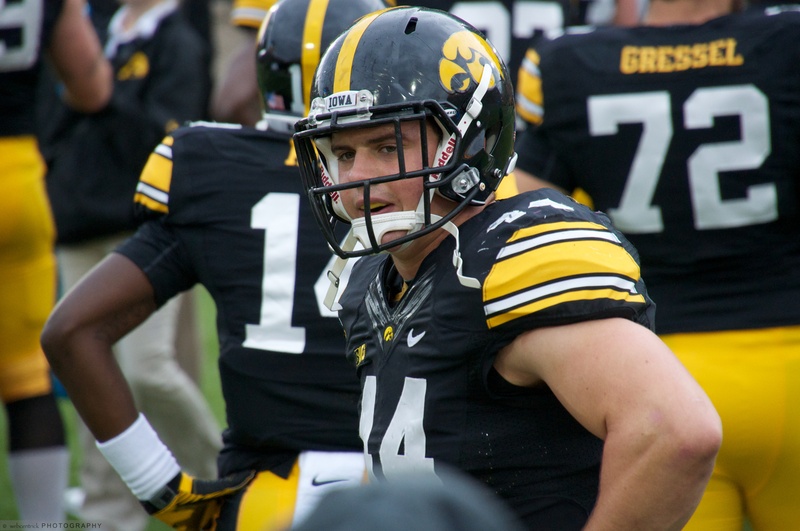 It’s reported that the New England Patriots have signed Iowa Hawkeye LB James Morris as an undrafted free agent today. James Morris can be considered the epitome of the scholar-athlete and has left an indelible mark on the Hawkeye Football program. Morris was one of 9 true freshman to play for the Hawkeyes in 2010 and has been a force on the Iowa defense ever since. Morris began starting as a freshman in 2010 and was named Freshman Team All-American by College Football News. Because of his physical style of play, he leaves Iowa as one of my all-time favorite Hawkeyes and was a clear favorite of mine to photograph. Clearly a team leader from the moment he took the field, it seemed as though he was in on every play and his motor never stopped. 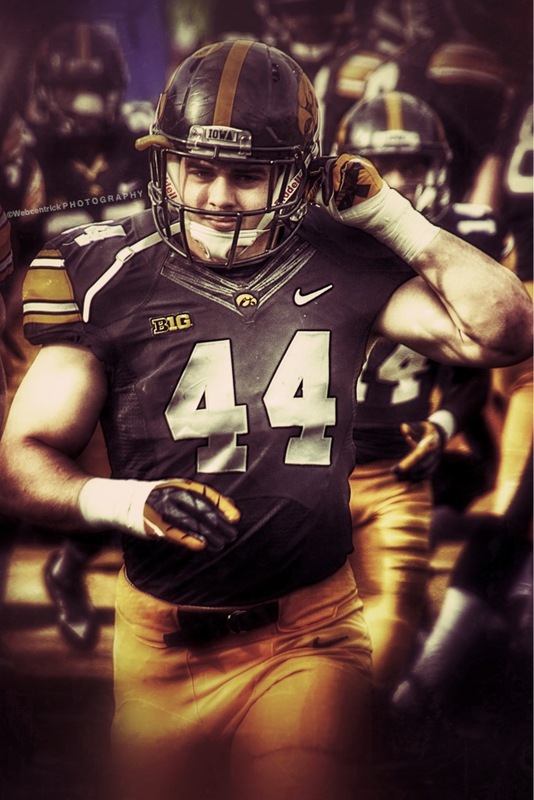 Morris, from Solon, Iowa, became a permanent team captain as a junior in 2012, continued in 2013 and played alongside LBs Christian Kirksey and Anthony Hitchens in what was arguably the best trio of linebackers in the Big Ten in 2013. For more information on James Morris, visit Hawkeyesports.com . 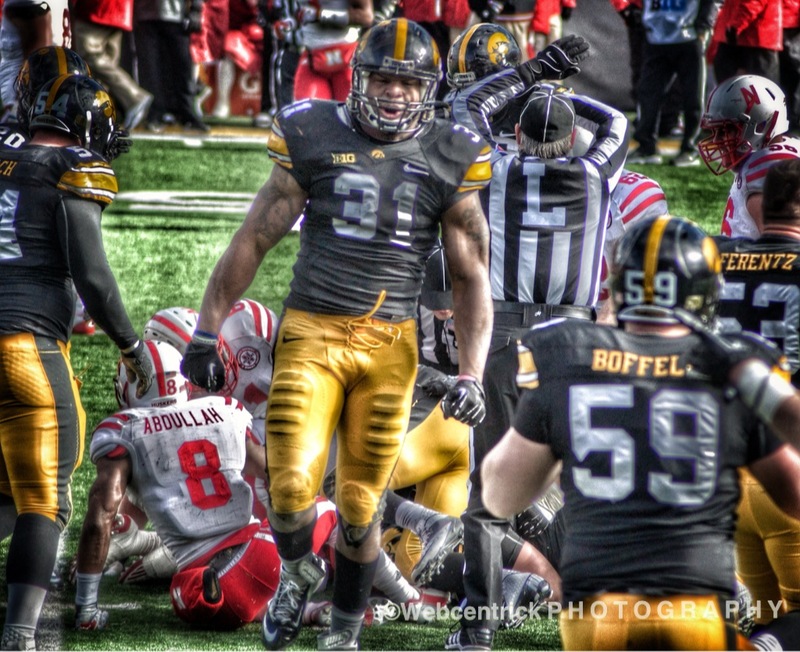 The Dallas Cowboys selected Iowa Hawkeye OLB Anthony Hitchens in the 4th round of the 2014 NFL Draft. Hitchens, who is from Ohio, was named the team’s Defensive MVP in 2013. He was also named 2nd Team All-Big Ten by the coaches in 2013. Hitchens played alongside LBs James Morris and Christian Kirksey throughout his career at Iowa. The trio was arguably the best linebacking corps in the Big Ten, if not the nation. 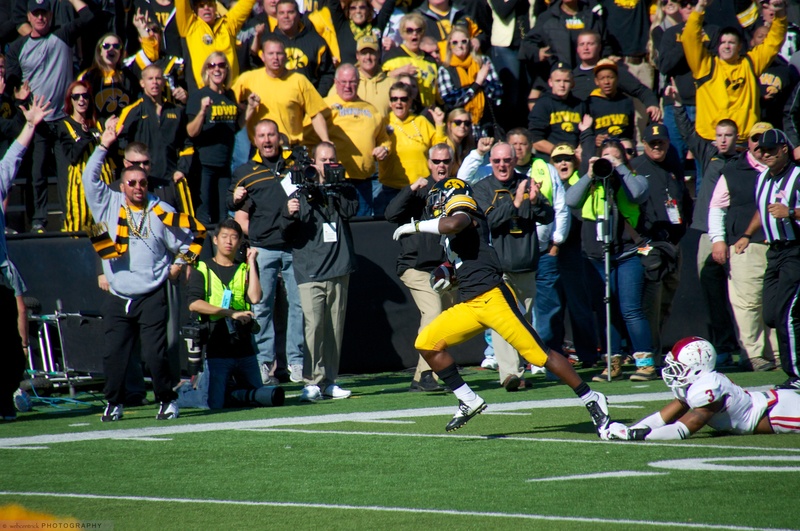 Hitchens probably played his best game of 2013 against Michigan at Kinnick Stadium. In the Wolverines’ final drive, he forced a fumble on Michigan QB Devin Gardner as the Wolverines were driving into Hawkeye territory to preserve the victory for Iowa. For more information on Hitchens, visit Hawkeyesports.com . 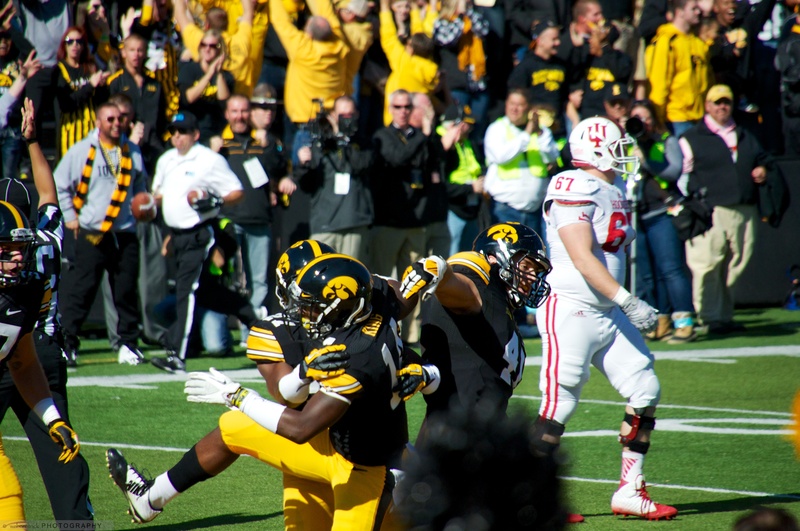 Anthony Hitchens celebrates stopping Nebraska on a 4th down situation in the game against the Cornhuskers at Kinnick Stadium in 2012. 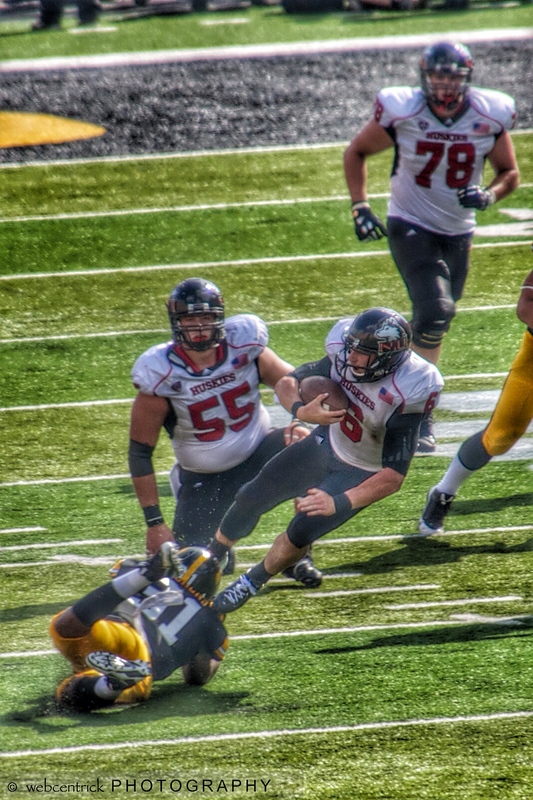 LB Anthony Hitchens makes the stop on Northern Illinois QB Jordan Lynch in 2013. 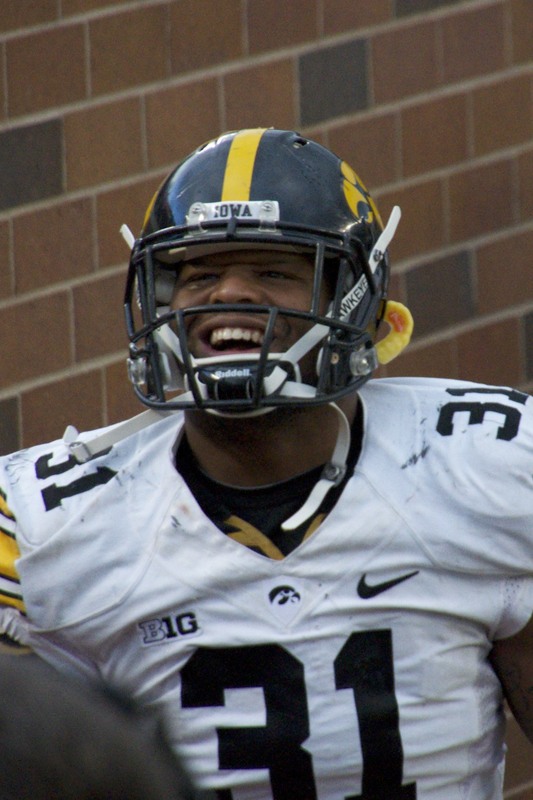 Hawkeye Senior LB Anthony Hitchens is all smiles following Iowa’s victory against Minnesota in 2013. 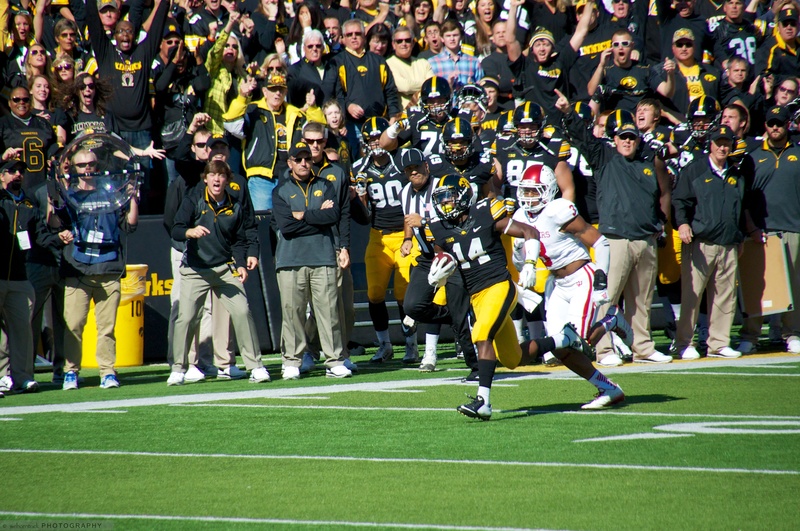 The Iowa sideline explodes as Hawkeye LB Christian Kirksey picks up the forced fumble and runs in for the touchdown against Northern Illinois in 2013. The Cleveland Browns selected Iowa Hawkeye LB Christian Kirksey with the 7th pick in the 3rd round of the 2014 NFL Draft. Kirksey was one of nine true freshman to play for the Hawkeyes in 2010 and has been a force on the Iowa defense ever since. 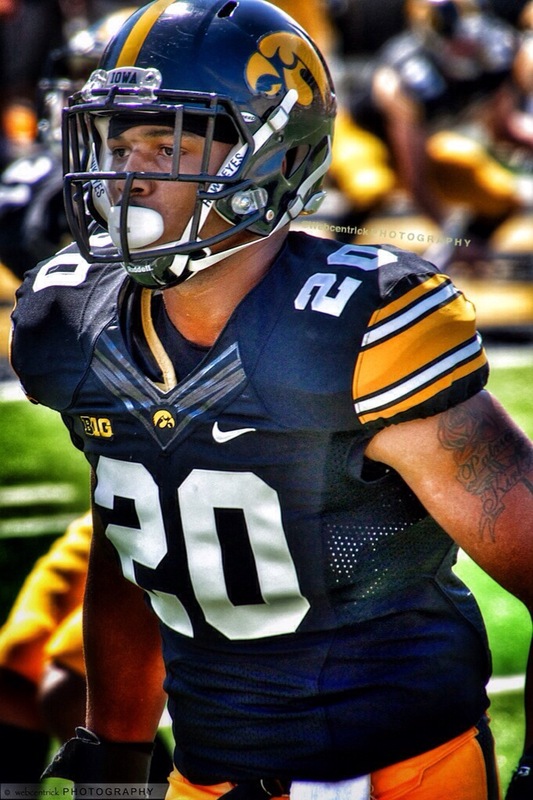 Kirksey was named a permanent team captain during his junior and senior years for Iowa. Kirksey, from St. Louis, played alongside LBs James Morris and Anthony Hitchens in what was arguably the best trio of linebackers in the Big Ten in 2013. 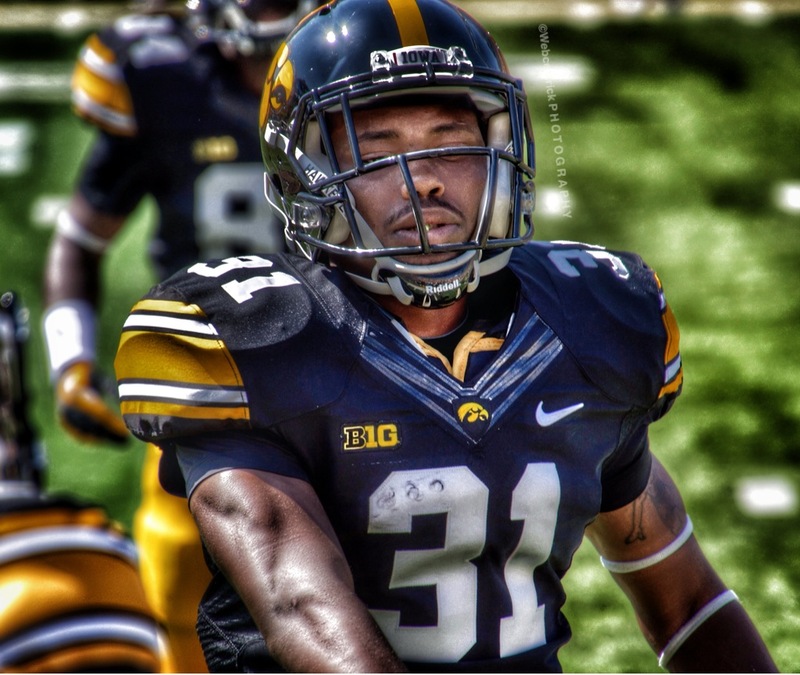 Kirksey represented the Hawkeyes in the 2014 Senior Bowl and was named honorable mention by both coaches and media for All-Big Ten in 2013. For more information on Christian Kirksey, visit Hawkeyesports.com . 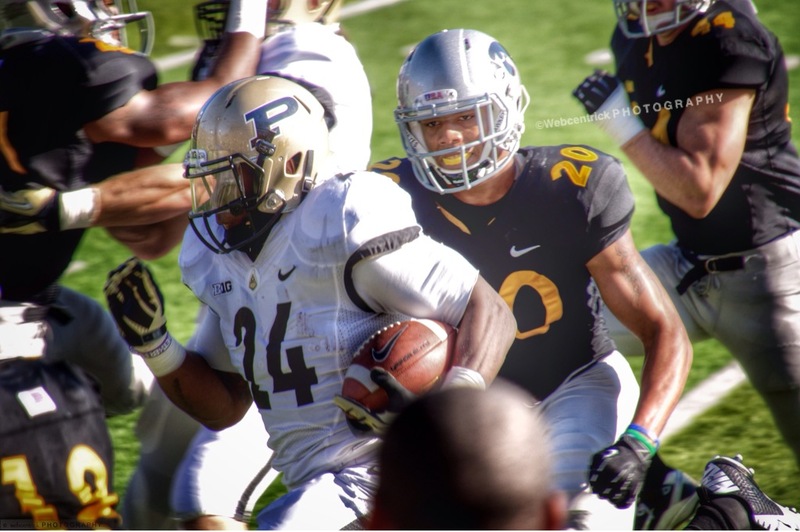 Wearing Pro Combat uniforms in a game at Kinnick Stadium in 2012, Christian Kirksey has his sights set on bringing down the Purdue ballcarrier.